Oakley sunglasses are performance driven and expertly designed, making them perfect for use during cycling, skiing and jogging due to their specialist design properties created to enhance the athletic experience. The Prism road and trail lenses are ideal for keeping the sun out of the eyes, allowing for optimum focus potential in your chosen sport, and the wrap-around style offers complete UV Protection, filtering 100% of all UVA, UVB and UVC light. 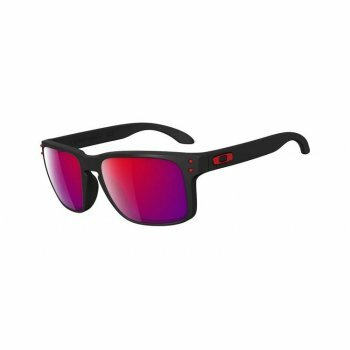 Enjoy the FrogSkins and Holbrook ranges from Oakley sunglasses, where you will find women’s sunglasses suitable for everyday wear and men’s sunglasses that live up to the Oakley sunglasses brand ethos. Many of the Oakley sunglasses can also be worn as unisex sunglasses due to their versatility. Each pair of Oakley sunglasses from Hillier Jewellers come complete with official Oakley packaging. If you’re after more stylish eyewear for the summer months, take a look at our ranges of men’s sunglasses and ladies sunglasses for endless options to suit all personal tastes. Our complete range of sunglasses displays a fine collection of sleek yet practical options. Kids can also wear their very own designer sunglasses with our range of junior sunglasses available in various styles.